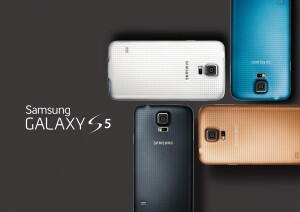 Is Samsung Working on a Galaxy S6? It’s been just over 6 months since Samsung released its Galaxy S5 flagship smartphone, but new reports suggest the company is already working on its successor. This news comes just weeks after Samsung released the Galaxy Note 4 and Galaxy Note Edge, leaving some people to speculate if The Next Big Thing will be the Galaxy 6. According to SamMobile, Samsung is in fact working on a new Galaxy smartphone, but it’s not being called the Galaxy S6 (at least for now). Sources close to the development team say it’s being called Project Zero. As SamMobile points out, this is the first time Samsung has opted for such a unique codename for its devices. Previous flagship devices were given generic names, such as Project J (Galaxy S4), Project H (Galaxy Note 3), Project K (Galaxy S5) and Project T (Galaxy Note 4). Why is Samsung taking such a different approach with the Galaxy S5’s successor? Being that Samsung has yet to confirm nor deny the project, we really don’t know why it chose the codename Project Zero for the Galaxy S5’s successor. With that said, SamMobile claims its sources told them the project name is a reflection of the device’s new manufacturing process. Project Zero isn’t going to use the same framework as previous Galaxy smartphones, but instead Samsung is building it from the ground up using new hardware and software. This could be a revolutionary smartphone if the company plays its cards right. Unfortunately, we still don’t know what kind of specs Project Zero will boast, as SamMobile’s sources were reluctant to reveal this information. Some rumored specs from other sources, however, suggest it will feature a quad-core Qualcomm Snapdragon 805 processor (same used in the upcoming Google Nexus 6) and 3GB RAM. Even these specs are still speculation, however, and there’s a good chance that Samsung will experiment with multiple setups to determine which one works the best. Samsung normally releases a new flagship smartphone at a rate of once per year. Assuming it follows this trend, we’ll likely see Project Zero (the Galaxy S6) released around the second quarter of next year. Until then, be sure to check back with our blog here at GalaxyS5US.com for all of the latest news surrounding Samsung’s existing and upcoming mobile devices. What kind of specs would you like to see in the Galaxy S5’s successor? Let us know in the comments section below!